Hofstra Pride Guides: Pet Therapy! 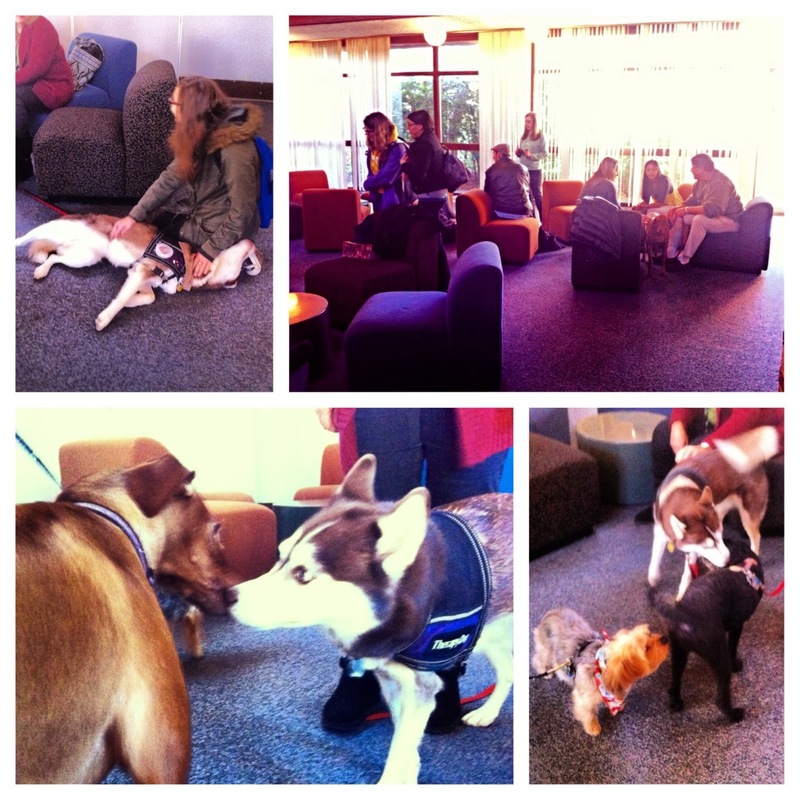 Students lined up today for a chance to pet their stress away with the OSLA Stress Busters event, Pet Therapy! This was "Paws-a-tively" a great way for students to reduce their stress about finals and get to just hang out with the Bide-A-Wee dogs! If you missed this event, don't worry! There is another chance to play with these dogs tomorrow, Friday the 13th! Go to the Middle Plaza Room in the Student Center anytime from 12-4 and pet your stress away!